At Helpertech you’ll find friendly technicians who can solve Cracked Screen Repair problems in Eagan. From iPhone repair and iPad repair, to computers, laptops, and game consoles. Whether you’re looking for computer service, phone repair service, or other electronics repair – our expert techs are here to help! 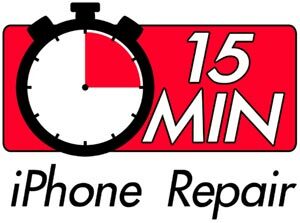 Get Helpertech to fix your iPhone screen repair Eagan, your battery, or any other phone repairs you may need. Our friendly staff will repair your phone fast, while you enjoy free coffee and refreshments, play old school Nintendo, or watch some Netflix in our customer lounge. 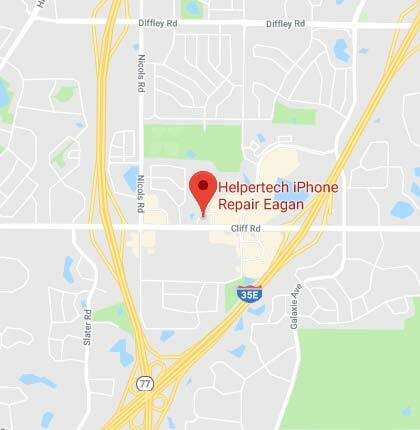 Come see why people that need Eagan phone repairs trust their mobile phone repair to Helpertech technicians! Get in store credit with all Cracked Screen Repair. Choose from great accessories such as phone cases from Speck, Spigen, Under Armour, UAG, and more. Plus Bluetooth speakers, screen protectors, charging cables, and other great accessories. ★★★★★ GREAT SERVICE, AGAIN! Went to the Eagan location after I broke the iPhone screen for the 2nd time in one year. I would highly recommend them. ★★★★★ Amazing. They got my iPhone 7plus new screen done in 15 min and I was out the door. Just fantastic. ★★★★★ We crashed through the doors on Scott at 5:45pm yesterday (they close at 6:00pm) on a snowy MN day. He never batted an eye, he took a look at our phone (iPhone 8) with a pretty much demolished screen and after a short inspection said “I can take care of that; it will take about 15 minutes. And it did, 15 minutes. After taking a look, he also asked if there were battery life issues (which there were) because the battery was expanding; he took care of that too (all in 15 minutes!). He then answered our questions and patiently worked with us as we picked out a few accessories (you get free stuff’ with your repair!). Never once did I feel rushed or pressed even though we were pushing past the 6:00pm closing time. I think this was the 4th repair we’ve had done at the Eagan location, and I have no reason to go anywhere else! Thanks Again, Scott, for a job well done! Helpertech can help you with Cracked Screen Repair. Take the next step and get your broken phone repaired! We’re your best local cell phone repair shop, for broken screen, shattered glass, or even a new screen protector – to help make sure your phone screen does not get damaged again.